Using the latest technology to increase productivity and efficiency was the rationale behind the decision taken by Insight Precision Engineering to install a 5-axis machine in 2007. The company operates as a subcontractor across a wide range of industries and adapting to the needs of the market has been a key factor in its success for the past 25 years. To make the most of the 5-axis capabilities, Insight decided to equip the new machine with a Hilma MC125Z Concentric vice from Roemheld. Having looked at a number of potential suppliers, they were impressed with the overall package that Roemheld offered and the fact that they were happy to offer a demo vice. One of the benefits that the Roemheld vice offers is its ability to grip on just 3mm and Insight have welcomed this reduction of wastage. Previously, they were gripping on up to 10mm and were consequently having to mill a large amount of excess material away. 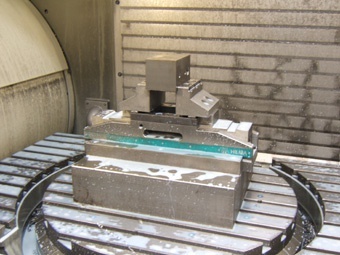 Although 5-axis machining was a new departure for the company which had previously been using 3 and 4-axis machines, it has offered many operating advantages. An example is that it has enabled them to run batches for 16 hours and more with minimal operator involvement. Concentric machining has also significantly improved the degree of error which allows Insight to consistently obtain high accuracy in one pass. 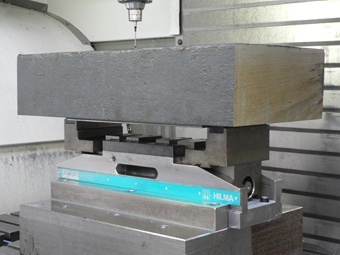 Hilma vices are known for their robustness and durability and so the lack of maintenance and operator involvement required has also proved beneficial within the production cycle. Insight was originally set up as the machining arm of an electronics firm, but over the years has evolved with the needs of the market. Today, Insight manufactures machine tool parts, manifold and valve blocks and is a tier supplier to toolmaking, defence and emergency service industries. As well as offering 5-axis machining, the company also offers CNC turning and milling along with internal and external grinding using both ferrous and non-ferrous materials. Insight has 11 members of staff and has a three quarter of a million pound turnover. Many of the engineers have been with the company from the beginning and staff turnover is minimal as they all work together well as a team. That is why, rather than expansion, the company prefers to focus on investment in new technology to work more efficiently.